A DRUG dealer has been told to pay back £28,000 or be given a further six months in prison. Tyrone Royal, aged 24, of Charlton Road, Keynsham, was jailed for five and a half years earlier this year after police discovered two blocks of cocaine weighing nearly 50 grams in his car. They also found £6,426 cash and high value designer items including baseball caps, sunglasses, bags, clothing and jewellery. Alongside the cocaine was 268.18 grams of Benzocaine - an agent commonly used to mix with drugs to dilute their purity. 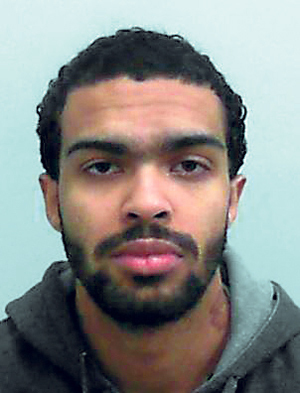 In February Royal was convicted at Bristol Crown Court of possessing a controlled drug with intent to supply and was later sentenced to five and a half years. Last month Bristol Crown Court judge Euan Ambrose ordered a confiscation against Royal to the value of £28,236.00, which included cash and goods seized from him. It was estimated that Royal made more than £58,000 from his criminal dealings. Royal maintained that credits paid to him represented takings from legitimate business enterprises. Royal must pay the total confiscation order or he will be given a further six months in prison and will still have to repay the remaining sum of the order owed. Dr Kirstie Cogram, manager of Avon and Somerset Police’s complex crime unit said: "We are committed to seizing any assets that criminals have gained as a result of crime. It is not acceptable that criminals benefit from illegal activities and we will relentlessly pursue them through the courts to ensure their money is taken. By doing this we show criminals that they will not benefit from crime and hopefully deter others from entering a life of crime."